Abdalhadi Alijla – From Saleh to Hadi: Who destroyed Yemen? Abdalhadi Alijla is a Swedish-Palestinian academic and the Regional Manager for ‘Varieties of Democracy Institute’ for the Gulf countries at Gothenburg University, Sweden. He is the executive director for the Institute for Middle East Studies, Canada (IMESC). As the Arabian’s coalition strikes against Yemen stop, a new era starts with the question “What next?” Yemen’s crisis is not a new one. It is not even a crisis of the post-2011 demonstrations against former President Ali Abdulla Saleh. Rather it dates back to the 1960s. On many occasions, violence has been part of the atmosphere, yet it was managed through the common ground political equation and the strong informal institutions of Yemen (Tribal system). In most of the previous Yemeni crises and the current crisis, the causes have their roots in the political system, specifically the Head of the State. In the 1960s, the Republic of Yemen in San’a fought against royal forces for about seven years. It ended with a so-called national reconciliation. After southern Yemen’s independence from Yemen in 1967, two wars between the south and the north erupted in 1972 and 1979 respectively. In 1982, the People’s Conference was established, setting its agenda as the unity of the two Yemens. As a result, a new commission and supreme council were established by the conference. A ministerial joint committee worked together until unity was achieved in 1990. They set a time period of two and a half years as a transition phase to merge institutions. The unification agreement included the decentralization of institutions, neutralization of the military, a modern electoral system, and new local governance arrangements. The two leaderships signed the agreement in Amman in February 1994. In the summer of 1994, a new war erupted between the military of the two countries and ended with a defeat for southern Yemen and its socialist party. The historical legacy of fragmentation in each part of Yemen and the proliferation of militias based on ethnicity and tribalisms suggest that what is currently happening in the country may bring about something worse than what we could have expected. The latest data from ‘Varieties of Democracy Institute’ shows that there is a huge crisis of the executive in Yemen. V-Dem has collected a unique database of data on democracy from 1900 until today. The aim of the project is to provide better and clearer measures of democratic development for practitioners, academics and policy-makers. Using V-Dem data, we can measure the role of the executive in undermining democracy and peace in countries such as Yemen. In the following graphs (Graphs Nos. 1 and 2), V-Dem data show how Head of States in both South Yemen and Yemen respected the constitution from the 1950s until 2012. Surprisingly, the Head of the State (Ali Abdullah Saleh) had violated most provisions of the constitution without any legal consequences after the unification of South Yemen and Yemen. Comparing that to the pre-unification agreement in 1990, Southern Yemen had a higher ability to take legal measurements whenever the executive violated the constitution. The second graph shows the Head of the State’ s ability to propose legislation. According to V-Dem data, the Yemeni president could propose legislation in all policy areas or share this power with the legislature. Within a society such as the Yemeni society where informal institutions, tribalism, nepotism and patrimonialism prevail over good governance and respect for laws and the constitution, the Yemeni president undermined democratic values and liquidated the constitution by appointing relatives to the military and high official posts. Not only that, but he founded and organized paramilitary troops that are loyal to him, violating the constitution signed in 1990 that states that only minister of defense manages and controls the military of the state. More surprisingly, after the unification of the south Yemen and Yemen, the level of judicial constraints on the executives (Head of the State, Head of Government and Ministers) decreased significantly in south Yemen and by a few degrees in Yemen (Graph 3 below). This can be explained by the collapse of the unification agreement. The war in 1994 between south Yemen and Yemen (after the unification) ended with the defeat of the socialist party. After the war, the South Yemen governmental and formal institutions collapsed, and the People’s Conference took over south Yemen. After that, the unification agreement between South Yemen and Yemen ended by amending the constitutions along the lines of a presidential system (not a presidential council as the agreement stated). The new constitution gave the president complete authority over all policy areas, including judiciary and legislative ones. With corruption widespread, Yemen’s president appointed his relatives and loyalists. The current Yemeni crisis is not about the Houthi or Iran’s influence in the area. Taking a look at the egalitarian index of democracy (below) for both south Yemen and Yemen, we see a huge difference between the two. The dissatisfaction among southern Yemeni increases as they were excluded from power. “The egalitarian principle of democracy addresses the distribution of political power across social groups, i.e. groups defined by religion, and ethnicity. This perspective on democracy emphasizes that a formal guarantee of political rights and civil liberties are not always sufficient for political equality. Ideally, all social groups should have approximately equal participation, representation, agenda-setting power, and protection under the law, and influence over policymaking and policy implementation. If such equality does not exist, the state ought to seek to redistribute socio-economic resources, education, and health so as to enhance political equality”. As graph No. 4 shows South Yemen had a higher egalitarian index than Yemen. However, after the unification, both countries had a significantly lower egalitarian index which reveals that some part of the population was excluded from some of their political or social rights. With increasing voices by Southern Yemeni for separation, it seems that the unification has failed, not because the population failed, but because the political system failed (1). It seems that the present crisis is not a political one linked to the Houthi and political reform, rather a political, economic and societal dilemma between the Southern Yemeni and Northern Yemeni. The complexities of presidentialism in Yemen accompanied by corruption, nepotism and exclusion of the southern Yemeni led to ongoing deadlock. What is needed is a new political system, preferably power-sharing with southern Yemeni to avoid separatists increasing influence among Yemeni, which may not be a good omen for the future of Yemen. This entry was posted in Middle East and North Africa, Yemen and tagged Constitution, presidentialism, Yemen on May 4, 2015 by Marina Calculli. In the aftermath of the historic fall of Hosni Mubark, on 11 February 2011, nobody would have predicted that, 4 years later, Egypt would have become an autocracy led by a (harsh) military-backed regime. Since the military coup of July 2013 (backed by the Tamarrod movement), which led to the forced ousting of the elected but unpopular President Mohamed Morsi and to the Presidential elections that sanctioned the triumph of General Abdel Fattah al-Sisi, the new President has embarked on an effort to restore the authoritarian regime. A wide-reaching quest for security and order within the State has enabled al-Sisi and his Military entourage to undertake a “corrective” adjustment to the thawra (‘revolution’), after the weak performance of the Muslim Brothers during their short stint governing the country. Al-Sisi’s power is entrenched in the legacy of the 2011 revolution, in which he primarily sought – and partially found – his legitimacy. The Tamarrod movement, together with a huge number of anti-Brotherhood intellectuals, underpinned his ascendance to the presidency. The Military, which had embraced the revolution in 2011 (albeit reluctantly in the beginning), was again explicitly called upon to save it, and was pardoned for having attempted an authoritarian takeover just after the ousting of Mubarak. Though al-Sisi himself likes to be compared to Gamal Abdel Nasser, his move to seize and consolidate his power looks more like a Napoleonic 18 Brumaire than the Free Officers’ Revolution of 1952, which overthrew the monarchy of Farouq. The Muslim Brothers’ bogeyman are continuously portrayed as a ‘Jacobin threat’, from which the General has to step up to save the Republic. Many of those who supported al-Sisi in 2013 may have come to realize the intimate will of the rais and the Military. However, in al-Sisi’s Egypt there is no room for dialectics. Whilst the Muslim Brothers have been declared a terrorist group, massacred and imprisoned, by virtue of their alleged attempt to “undermine the stability of Egypt”, the main leftist and liberal activists, once hailed as the “heroes of the revolution”, are also in jail. The recent sentence against Ala Abdel Fattah, inter alia, confirms the regime’s paranoia, and its fear of the ‘revolution’ that it originally claimed to defend. In other words, contrary to his professed will, al-Sisi, less than a year after his election as president of Egypt, has expressly cut all links with the 25 January revolution. The bloody repression of the peaceful celebration of the 4th anniversary of the revolution has just made the attempt to destroy its legacy more explicit. At the same time, the regime is unwilling to reinvent a narrative of social reconciliation within – and with – the State. Distrustful of society, brutally repressive, and with its clumsily handling of socio-economic issues, such as poverty and unemployment, the regime feels it has no option but to assert violent control in order to secure its power. In other words, Al-Sisi’s Egypt has become what Nazim Ayubi called a ‘fierce state’ – a state in which a huge security apparatus is the main guarantor of regime stability. It is noteworthy that, during his 9 months in office, the President has expanded military powers through Presidential decrees. Such a state, however, is weak and vulnerable, since its authority rests mainly on widespread fear and coercion. Not surprisingly, al-Sisi has mainly turned towards the search for an external – rather than domestic – legitimacy. At the regional level, al-Sisi has been strengthening his links with oil-rich countries – especially Saudi Arabia and the UAE – that have already donated more than $22 billion to the state and the military apparatus, de facto saving Egypt from going bankrupt. In an attempt to secure Saudi support, al-Sisi has embraced the Saudi regional policy of effacing the Qatari-sponsored Muslim Brothers from the Arab World. At the international level, Egypt is trying to depict itself as the main regional pillar in the fight against Islamic terrorist organisations, especially the ‘Islamic State’. For the first time in 24 years – i.e. since the Gulf War of 1990-91 – the Egyptian Military has engaged in military operations outside its borders – notably in Libya – to fight against ISIS. Parenthetically, the President also called for the formation of an Arab Army under Egyptian command and supervision, trying to implicitly persuade stable Arab monarchies (which called for the formation of such ‘Arab Army’ in the first place) that Egypt is the only Arab power able to protect their stability. Moreover, al-Sisi has spoken up against extremism, which – in his words – “offends the image of God”. The rais, who has always tried to depict himself as a “good Muslim”, also urged for a reform of Islamic discourse to meet the challenges and the needs of “the modern world”, and to remove “old misconceptions”. Needless to say, in the wake of the international war against ISIS, his words resonate all over the word, leading many politicians and commentators in the West to depict him as the most modern and genuine Arab leader. Al-Sisi has managed to gain international recognition and support, while, domestically, the Military – a huge organization, which holds more than 100 billion $ of assets, and controls virtually every sector of the economy – is more powerful than ever. President al-Sisi is a General, coming from the Military, in line with the career of all of the presidents of Egypt, except Morsi. He has greatly contributed to expanding the political role of the Army, which is nowadays much more politically powerful than in Mubarak’s days. However, this move could jeopardise the role of the President, by turning him into a mere puppet of an immensely huge Military structure, which represents the real power in the current ‘fierce state’ of Egypt. This entry was posted in Middle East and North Africa and tagged Egypt on March 2, 2015 by Marina Calculli. The vacuum left by the failure of the Lebanese parliament to elect a new president after the end of the six-year term of former President Michel Suleiman on 24 May 2014 is lingering on and is unlikely to be filled anytime soon. However, in spite of the intractable lack of political agreement among the MPs on the presidency, on 5 November 2014 the parliament decided to extend its own mandate until June 2017, referring to the many “security issues in the regions”, especially concerning the Syrian war. Only Christian MPs of the Kataeb party and the Free Patriotic Movement boycotted the vote. The presidency remains the major stronghold of Maronite Christians in the post-war power-sharing arrangement, sanctioned by the Taef agreement of 1989; not surprisingly this extension was seen by most Christians as a cheap shot at the country’s gentleman’s agreement (according to which the Head of the State must be a Christian Maronite), and – more generally – to the role of Christians in Lebanon. After the parliament’s decision, the Maronite Patriarch, Bishara Rai, hit the roof and blasted this extension as “illegal and against the constitution”. Beyond the Maronite opposition to a bill which objectively undermines the power of Christians in Lebanon, the renewal of parliament’s term fuelled a cross-confessional rage in the country. According to recent opinion polls, only 11% of Lebanon approves parliament’s extension, while the majority calls for elections. Protesters also gathered in Nejme Square, where the Parliament is located, contesting what they termed as a “democratic disgrace”. Aoun went on to say that the current presidential crisis deteriorated after his talks with Hariri broke down. According to Aoun, the rupture came after the Saudi Foreign Minster, Prince al-Faiçal, put his veto on his candidacy. Aoun’s thesis may correspond to a real political game between the Saudi king and his Lebanese pupil Sa’ad Hariri. In his analysis, however, he conveniently forgets that even his strong ally, Hezbollah – which is in turn backed and financed by Iran – voted in favour of the parliament’s term extension. The elephant in the room here is the failed entente between Saudi Arabia and Iran, which have been engaging in a cold war in the Arab Levant, using and manipulating their respective proxies in Syria, Iraq and Lebanon, and have been unable to agree on the name of the future Lebanese president. Not for the first time, in the absence of a compromise between the two major powers in the region, any change in the political status quo is liable to lead to a further deterioration in the security situation. Beyond this political crisis, there is no direct intention by domestic and regional actors to undermine the power of Christians in the country. However, the outcome of the dangerous geopolitical game between Saudi Arabia and Iran is anyway likely to coincide with a downgrading of the role of Maronites in Lebanon. Looking at the evolution of the institution of the presidency in Lebanon over the country’s history, the current impasse is likely to further transform the Lebanese political system. Born under the umbrella of a strong presidentialism, sanctioned by the mithaq al-watani (‘National Pact’) of 1943, the system was reshaped by the Taef agreements of 1989, which put an end to the longstanding Lebanese civil war (1975-1990). Taef downgraded the importance of the (Maronite) president’s role to the advantage of the Council of Ministers, led by a Sunni PM, and redefined the weight of Christians and Muslims (Sunni and Shi’a) in parliament from 6:5 to 1:1. Despite the reduction in its power, the president still plays a balancing role between the prime minister and the speaker of parliament. 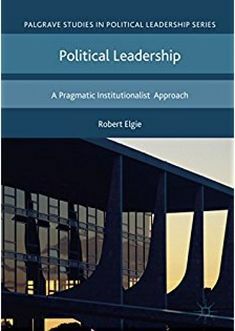 Nonetheless, if the presidential vacuum becomes stagnant, with a fragmented parliament exerting the functions of the presidency, the role of the Head of the State will be substantially, if not formally, reduced. By showing that Lebanon can go ahead without its highest authority, however, the Lebanese political system is also proving more than ever to be a hostage of the various feudal-like parties, and increasingly dependent on regional patrons and their respective geopolitical games. The Parliament had already extended its mandate on May 2014. Paul Salem, “Framing post‐war Lebanon: Perspectives on the constitution and the structure of power”, Mediterranean Politics 3 (1), 2007: 13-26. This entry was posted in Lebanon, Middle East and North Africa and tagged Lebanon, presidential election, presidential vacuum on November 13, 2014 by Marina Calculli.